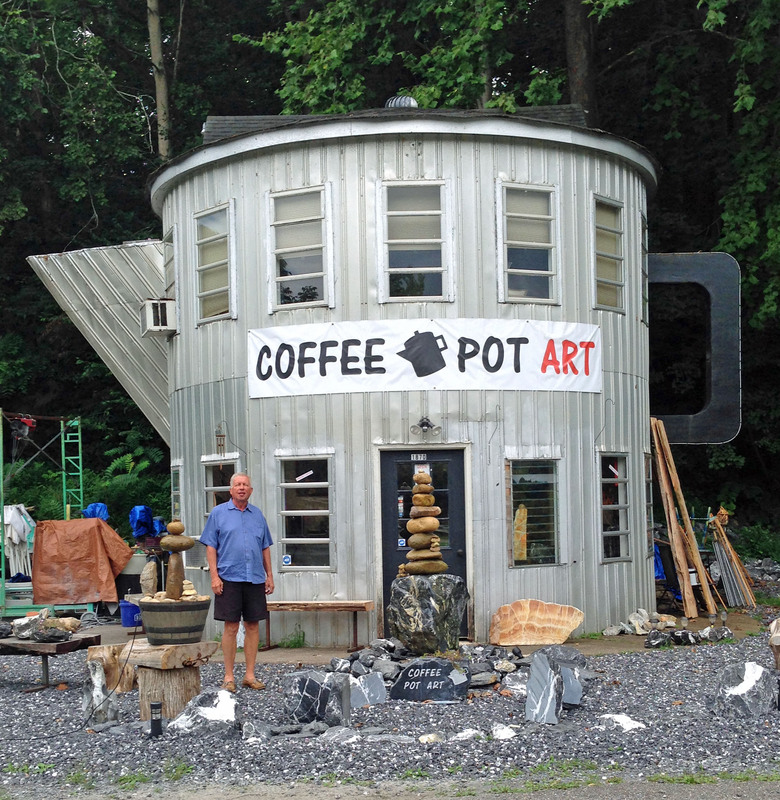 Coffee Pot Art Building – The Home of My "Big Things"
On the way to the Transformer Man we saw the Coffee Pot building and decided to catch it on the way back. It currently serves as an artist studio with many water sculptures in front. We didn’t have time to go inside but it looks like a great place to visit if you have the time. It’s on East Midland Trail in Lexington, Virginia.